Today, the IRS formally recognized that employers (and state workforce agencies) need more time to adjust to the WOTC-program changes initiated by the Protecting Americans from Tax Hikes Act of 2015. 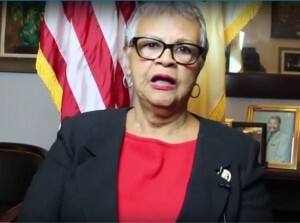 Representative Bonnie Watson Coleman of New Jersey has sponsored a bill to increase the amount of Work Opportunity Tax Credit generated by wages paid to older Long Term Unemployment Recipients. The Department of Labor has issued Training and Employment Guidance Letter Number 9-15 regarding updated forms. This morning, we received a notice about the update from the Karen Marberry, Minnesota’s Work Opportunity Tax Credit Coordinator. Marberry’s notice is copied below. I’m sorry, I should have posted this sooner. Earlier today, the US Senate voted overwhelmingly (96 for, 3 against) to take up HR 3474, the Expiring Provisions Improvement Reform and Efficiency (EXPIRE) Act.